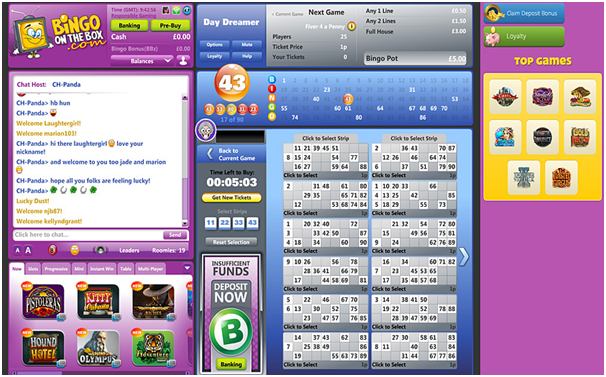 When you enter a chat room of Bingo site online you will find there are lots of chat games to play. Chat Game types vary from one Bingo site to another but one thing is common to all and this they all are fun to play and enjoy. You will find all the real casino or bingo table features in these chat rooms. There is a real chat host who moderates, entertains, and makes announcements regarding bingo promotions. There is also a bingo caller who calls out the numbers, even though these can be automatically marked. Most importantly, chat games allow for the kind of social interaction that takes place in the real world. In bingo chat games you can meet new friends and fellow players, also known as “roomies”. You can even choose to chat with your roomies from within the group chat or in a private chat window. You can text each other, make comments, crack jokes and do whatever you like under the given rules and have plenty of fun. Here you will come to know as what are chat games and how you can play them as well as have some wonderful wins to your side. Buddy Chat Games are those where you can play bingo pairing up with a fellow player (roomy) from your chat room. 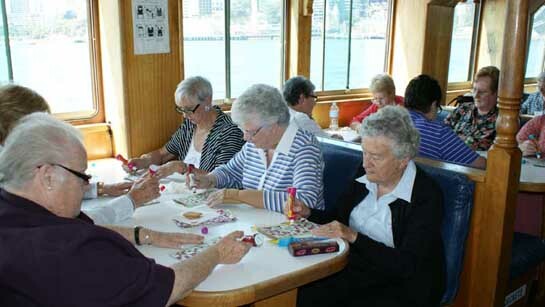 Buddies bingo is naturally lots of fun as it encourages social interaction. Up-Down Buddies-In this game if you win a prize, the two players listed above and below you on the chat room player list also win a prize. Similarly, if the roomy listed immediately above or below you wins, you win too! Alphabet Buddies- Players whose usernames begin with the same letter as the winner will all win at once. 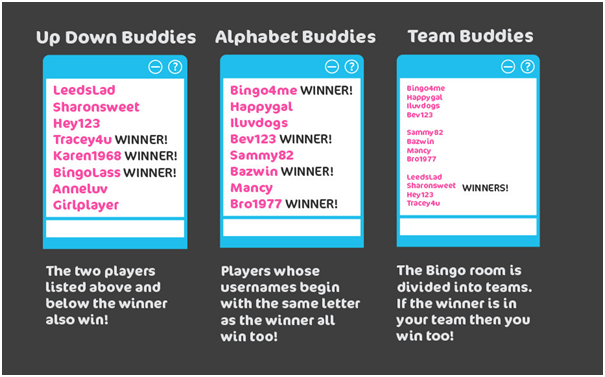 Team Buddies- The bingo chat room is divided into teams and the bingo winner’s team all win a bonus prize. Birthday Buddies-A prize goes to all the players who share the winner’s birthday. Trivia Chat Games are a bit like a quiz, where players are challenged by the bingo chat host to answer general knowledge questions. Just like your favourite general knowledge games, trivia chats offer questions in all the various categories, including culture, entertainment, history, geography, politics, etc. In this fast paced chat game, the first person to answer is the winner. Karaoke Trivia-The host will post the beginning lyrics of a song and whoever completes the song or names the singer wins. Movie Trivia-The chat host posts a quote from a famous film. The first one to name the film is the winner. Celebrity Trivia- The chat host might post one half of a famous celebrity couple and the first player to name his or her partner wins the game. Invention Trivia- The chat host will mention two items that were invented during the same era. The players have to guess which invention came first in order to win. 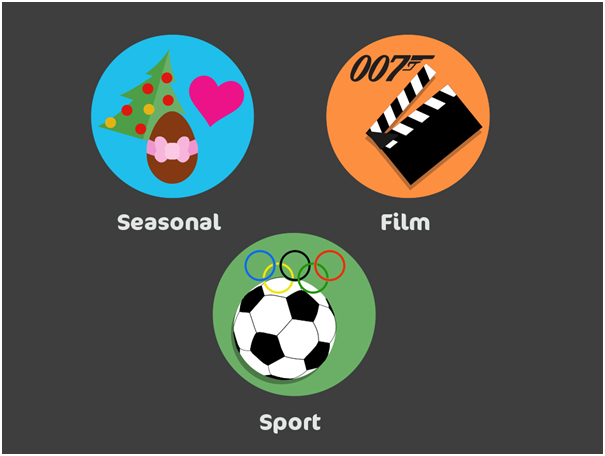 Themed Chat Games are based upon popular events such as sports events, hot new film releases and seasonal occasions. Film Themed Chat-The chat host might post questions relating to a new film that is being released. For example, the first player to state the name of the first James Bond film wins; Or the first player to guess the romantic lead in a particular film is the winner. Football Themed Chat- Websites take advantage of events such as the FIFA World Cup or the Olympics, by creating fun sports themed chat games with challenging questions and hot prizes. Seasonal Themed Chat-Seasonal themed chat games come around at certain times of the year, such as Christmas, Easter and Valentine’s Day. Numbers Chat Games are based on traditional bingo games but they play around with the numbers, making the games more interesting and challenging. First Ball Out- In First Ball Out, the players have to predict which ball will be called out first in order to win. Winning Number- In Winning Number, players need to guess the final ball to be called out. Mirrors-The first player to spot two mirroring numbers wins the game. Examples of mirroring numbers are 34 and 43, or 27 and 72, etc. Eggs Up-The Eggs Up winner is the first one to guess a pre selected number that ends with zero. Birthday-In a Birthday chat game, players must provide their birth dates at the beginning of the game in the following format 10-3-75 or 27-8-69. If all three numbers get called out, the Birthday winner must type “Birthday” in the chat room window and he/she will win a great prize. How do chat games for Bingo work? When you play a game of chat bingo you need to keep the chat room open on the game you are playing, and then keep your eyes fixed at the chat host, for the host of those chat bingo games will enlighten you on what the next games bonus payout will be and will also let you know what bingo pattern you will be playing for. You need to call out the special code the chat host gave you inside the chat room if you are the first player to form that special winning pattern, and if you are the first player and call out into the chat room that special code word or code words then you will be given a bonus prize in addition to the prize offered on that respective bingo game! 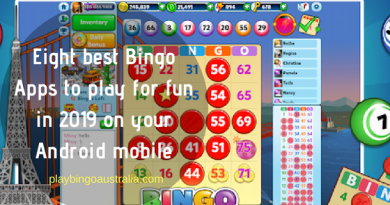 The main benefits of playing bingo chat games is that first and foremost you are going to be able to interact with all of the other players involved in the chat bingo game you are playing, and possibly more importantly you are going to have the chance of winning a range of bonus prizes if you form the winning pattern and use the chat room to claim those extra prizes. You are going to find the actual cost of taking part and playing in bingo chat games is going to vary depending on just which online bingo site or casino you choose to play these games at. 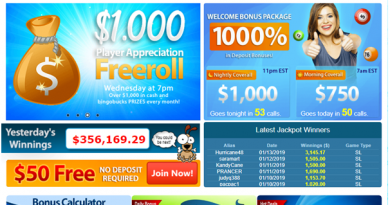 There will occasionally be some completely free of charge bingo chat games offered and as such those games do tend to fill up very quickly as players are able to play them at no risk what so every. But usually the prize of these chat bingo games you have to pay to take part in them are very modest and you will find most in not the vast majority of them can be played for pennies. You will have to be over the age of 18 to play bingo online and it is always better to ask the customer support team at Bingo sites for all the rules before you begin to play chat games. All online bingo sites have a legal duty to ensure that everyone who signs up and then plays at their respective online bingo site is over the age of 18 and you will therefore often find you are requested to send in identification documents to prove you are over the game of 18 before you are able to play bingo online. There are no limits in regards to the number of bingo chat games that you are going to be able to take part in and play online, and there are certainly no limits in regards to how many of these games you can take part in and win. You will often find that some players will win several of them on the trot and it is often the case that those players are the ones who purchased the most tickets for those games as the more tickets you buy for any online bingo games the more chance you will have of winning. 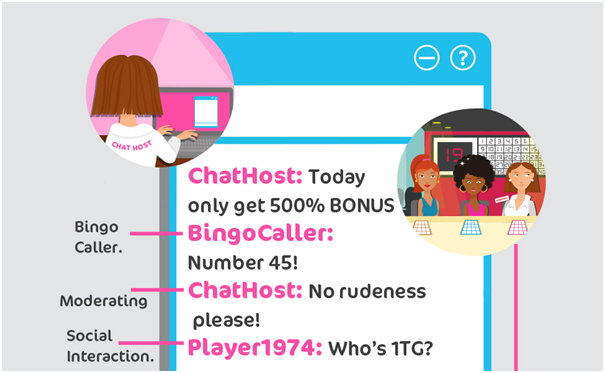 Take note that some bingo sites may ask you for a minimum deposit before you can take part in a chat game. Other sites do not require a minimum deposit but they may require an active bingo ticket. Chat game winnings are often given in the form of a bonus or free cash, that cannot be withdrawn, but may be used to play for real cash in other games. Always remember to check your game rules and regulations before entering a chat game. You’re your chat host is very friendly and so do not hesitate to ask her/him any doubt you have in your mind about the game or if you feel abused by other player or any other issue that you face.